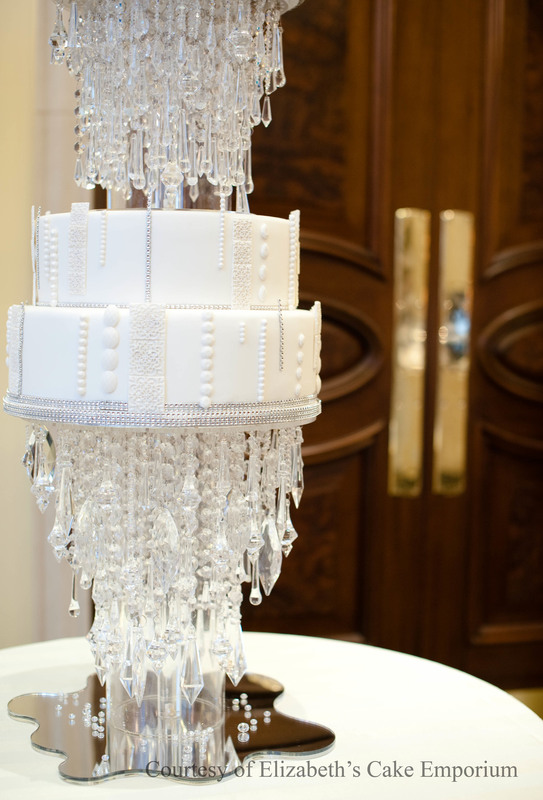 How did you get your start in the cake decorating industry? My foray into cake decorating was gradual. I started out by learning from books and moved on to attending cake decorating courses, and I’ve been lucky to learn from the very best including Ron Ben-Israel, Alan Dunn and Colette Peters. In 2006, I set up Elizabeth’s Cake Emporium whilst holding down a full time job. I feel so lucky to be finally doing what I enjoy. Where do you find your inspirations? I am inspired by nature, fashion and architecture. Of course the work of other fantastic cake makers also inspires me. What is your favorite cake decorating technique? I love making sugar flowers and I try to make them as botanically correct as possible! Countless number of times I’ve had to convince people that the flowers on our cakes are actually made of sugar. 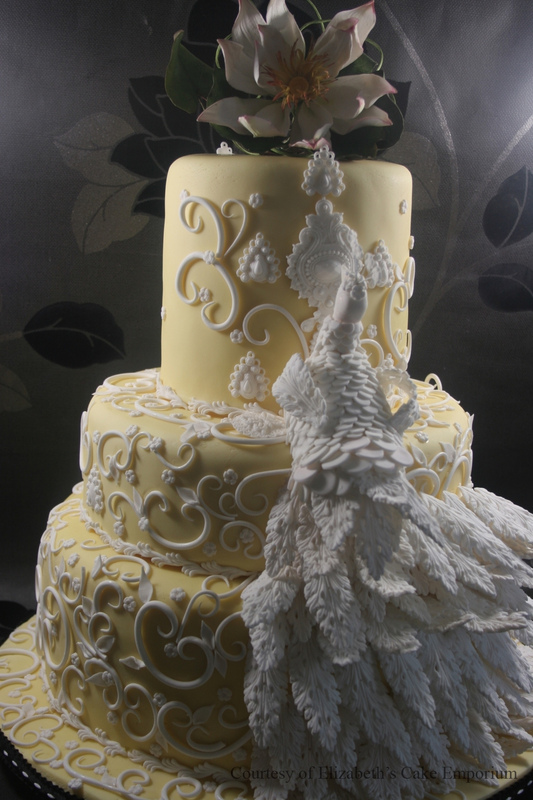 Who are you inspirations in the cake and pastry world? There are too many amazing artists out there to mention but I love the work of Ron Ben-Israel, Colette Peters, Sylvia Weinstock, Alan Dunn, Rebecca Sutterby, Elizabeth Hodes, Christopher Garren, Mike’s Amazing Cakes, Ewald Notter, Flora Agababyan and Minette Rushing. If you could design a cake for anyone/event – who/what would it be? I would love to design a cake for a dinner party thrown by Martha Stewart as long as the guests include Her Majesty The Queen, Oprah Winfrey, Ellen and Michelle Obama. What are your favorite seasonal ingredients for the winter? In terms of puddings, my favourite ingredients are apples, cranberries, pomegranates and satsumas. There’s nothing like a hot apple pie and custard to warm you up on a cold winter’s night. What are your top five favorite desserts? This is a tricky one! In no particular order my favourite desserts are Apple pie, Honeycomb Ice Cream with hot chocolate sauce, Creme Brulee, Bakewell Tart, Tiramisu and Tart Tartin!? Thank you Elizabeth for taking the time to share with me and my readers! 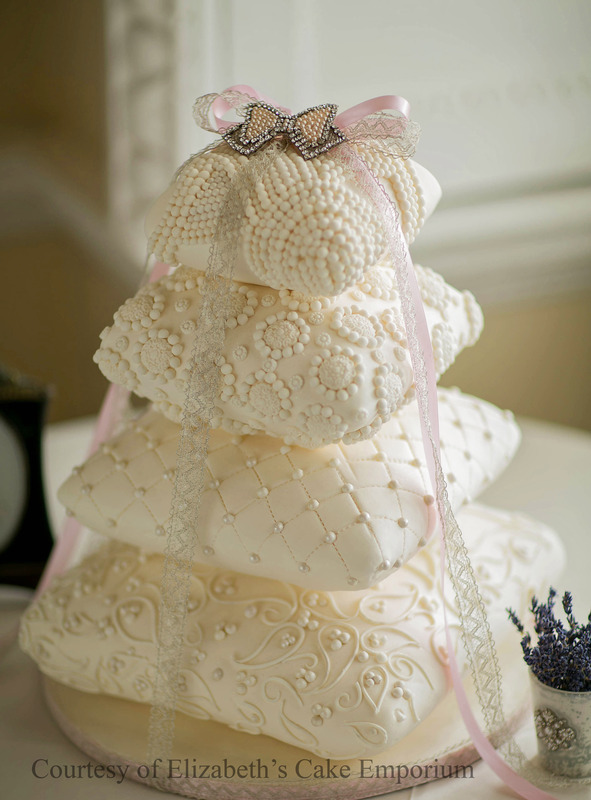 These are absolutely beautiful wedding cakes that would make the event even more special. I can imagine the bride and groom might not even want to cut into them because they are so decorative. Thanks so much for the beautiful feature Rebecca! 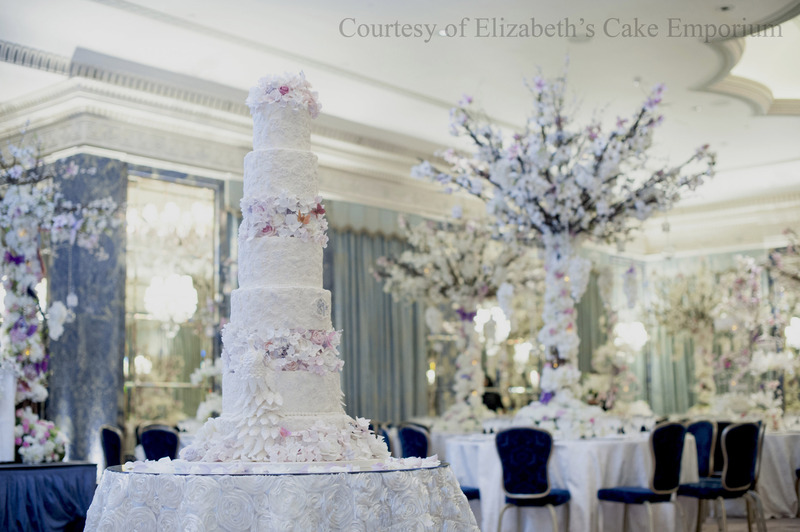 Breathtaking cakes Elizabeth – and the photographs are just gorgeous! Wow! Absolutely breathtaking…. Love all these cakes! Thanks for sharing!